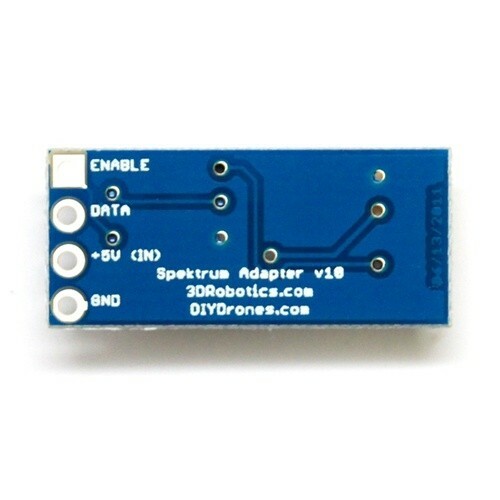 This accessory board allows a Spektrum DSM2, DSMX or OrangeRx remote reciver to interface with the ArduPilot Mega UAV controller board, without the need for a full-size receiver and servo cables. 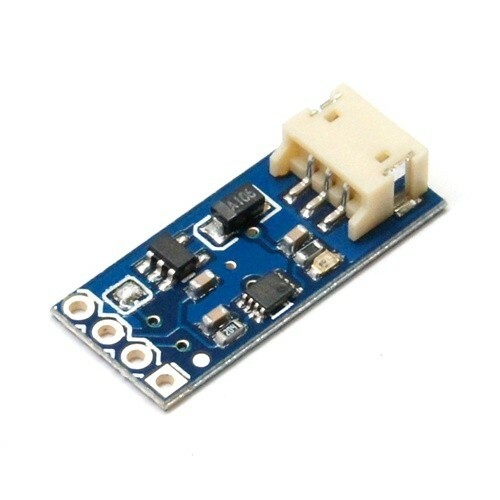 .9" x .4" x .2"
NOTE: An alternate firmware for the ArduPilot Mega's PPM encoder chip is required for correct use of this accessory, it can be found here. A short writeup on how to use this accessory can be found here. A project for later,maybe much later ;) after I have become proficient in take off and flying quad. Have read excellent reports about it.